The author of the new Houdini 4 engine, Robert Houdart, describes the new version as a major upgrade with many evaluation and search improvements in all phases of the game, which corresponds to about 50 Elo stronger than its predecessor, The improved strength means that Houdini 4 nearly doubles the chess performance of your PC for game analysis and match play. The tactical mode of Houdini 4 will find more solutions and provide faster solution times in tactical test suites than any other engine. Since it’s so new I am testing it and will let you know if I see an improvement over Houdini 3 everybody has been using up to now. 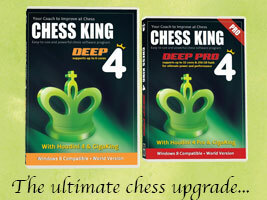 There are now 4 versions of Chess King, at price ranges from $29.95 to $99.95. They are all complete programs which will allow you to play and analyze your games, solve puzzles, study openings and games, etc. All include versions of the engine Houdini and a GigaKing database of at least 5 million games, and a huge opening tree. 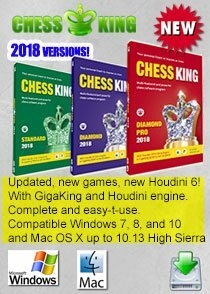 You can’t go wrong with any version of Chess King, as even Chess King 2 with Houdini 2 is a complete program and still mighty strong. 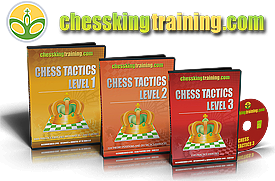 Check the CHESS KING SOFTWARE COMPARISON page. To preorder the DVDs which ship on December 18, click here. 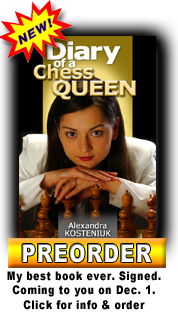 You can also find Chess King 4 on Amazon USA, here is the link for Chess King 4 on Amazon, and Chess King 4 Pro Amazon. 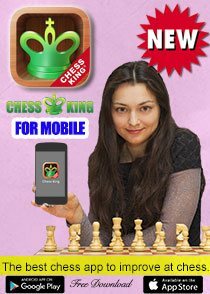 I know many of you have bought previous versions of Chess King on my recommendation, so if you want to upgrade, email me personally, tell me which version you own, and I will see what I can do to get you the best deal on the upgrade. 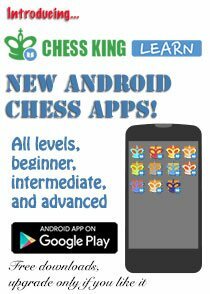 Feel free to also ask me questions on how to use the software or any other Chess King question, I will make sure it’s answered. I own Chess King 2 and four of your other DVDs. Wow that’s fantastic. I hope my package can reach Berlin quickly enough. Picked up Chess King Pro for my nephews. Congratulations for the new power-packed release and happy holiday season. Going to a DSL line for faster Internet for the download upgrade. Thanks for the quick response! That’s cool!!! Thrilled actually and cannot wait to try the brand new Chess King. Won’t go for the Pro though but would surely try Chess King with Houdini Pro. 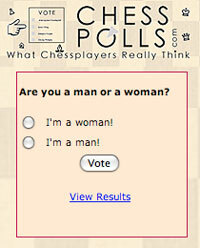 Amazed at chess technology and as always thanks Chess Queen for keeping pace with the best. Congratulations and best of luck in all your efforts. Thank got em. 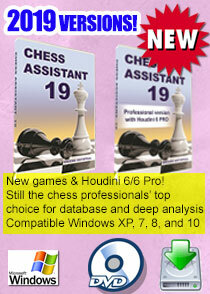 Perfect downloads of Chess King Houdini 4. Very impressed.